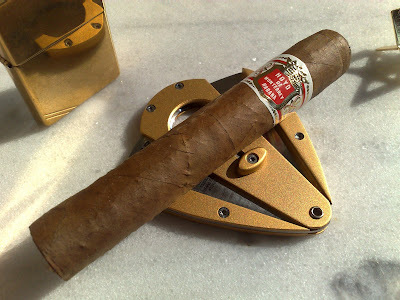 some cigars are cut on both ends, or twirled at both ends, the vast majority come with one straight cut end and one end in a "cap". 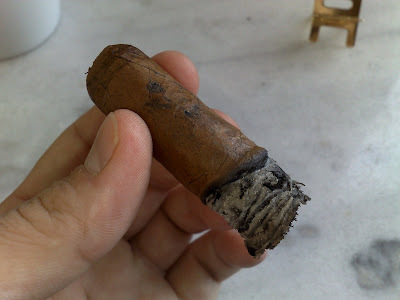 Most quality handmade cigars, regardless of shape, will have a cap which is one or more small pieces of a wrapper pasted on to one end of the cigar with a either a natural tobacco paste or with a mixture of flour and water. 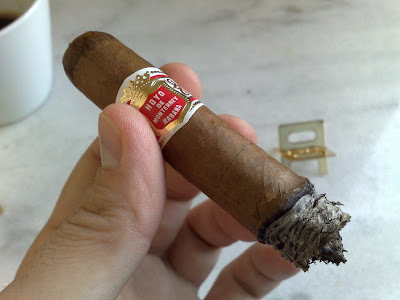 Hoyo de Monterrey Epicure No. 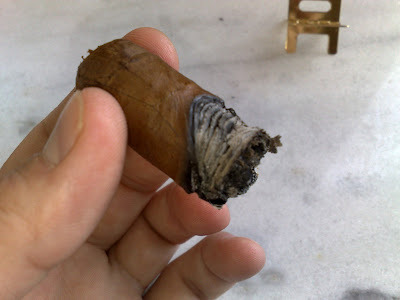 2 is beautiful in appearance; it has a nice shade of brown. It was firm yet pliant under the pressure of my fingers. 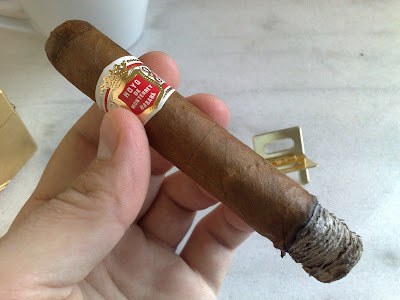 The pre-draw was very easy and incredibly earthy.The draw was perfect: smoke comes through easily, with just that bit of resistance to give it more impact. Unfortunately, there are also some downsides. 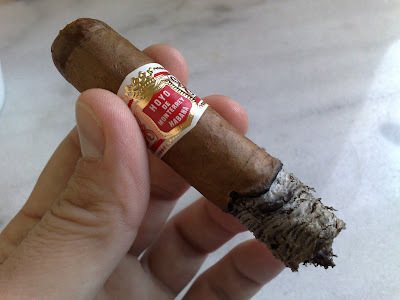 I found the cigar to have a very uneven burn and a flaky ash that didn’t really hold. 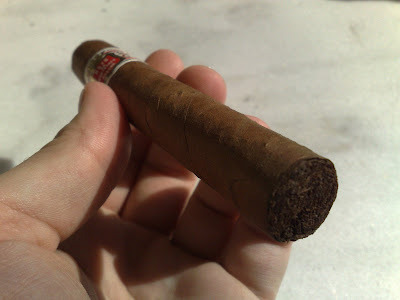 A quick relight of the wrapper leaf kept the burn quite balanced, but it remained a problem from start to finish.I buy my cigars from online Cigar Shop. 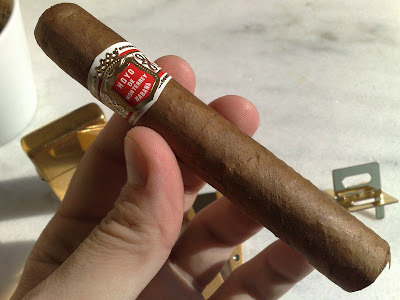 For people who like a little more strength in the cigar I recommend the Le Hoyo series from Hoyo de monterrey.